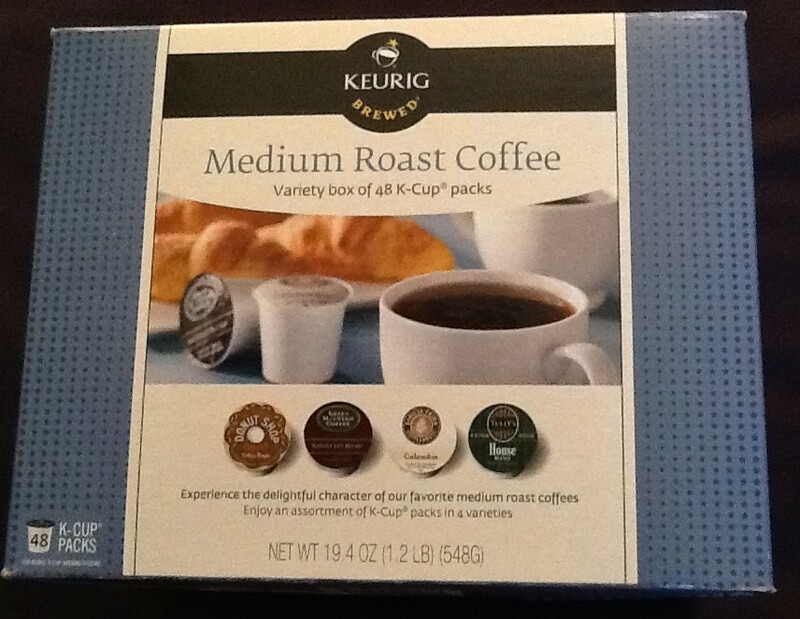 Product Review: Keurig K-Cup K10 Mini Plus Coffee Maker! Do you like Coffee? I sure do. 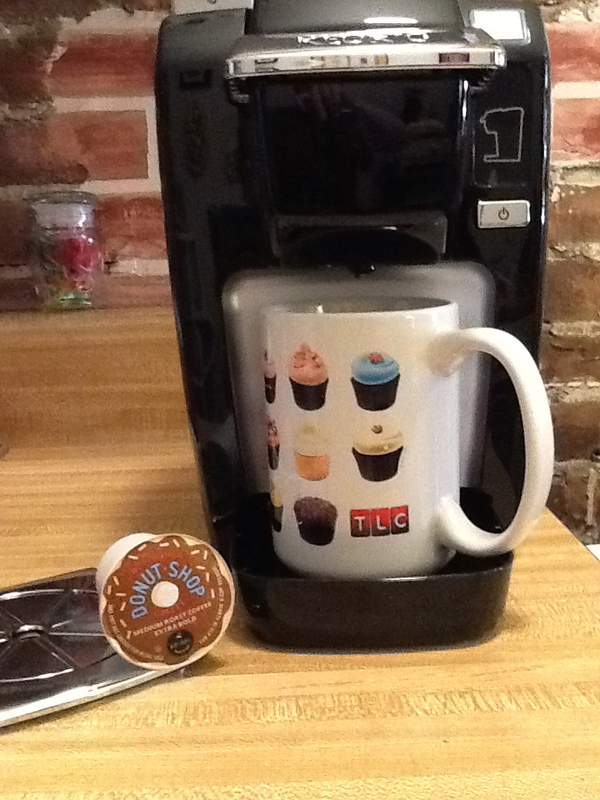 Staples just sent me this crazy cute little Keurig K10 Mini Plus Coffee Maker to use and review for The Gig, and I am loving the heck out if it. 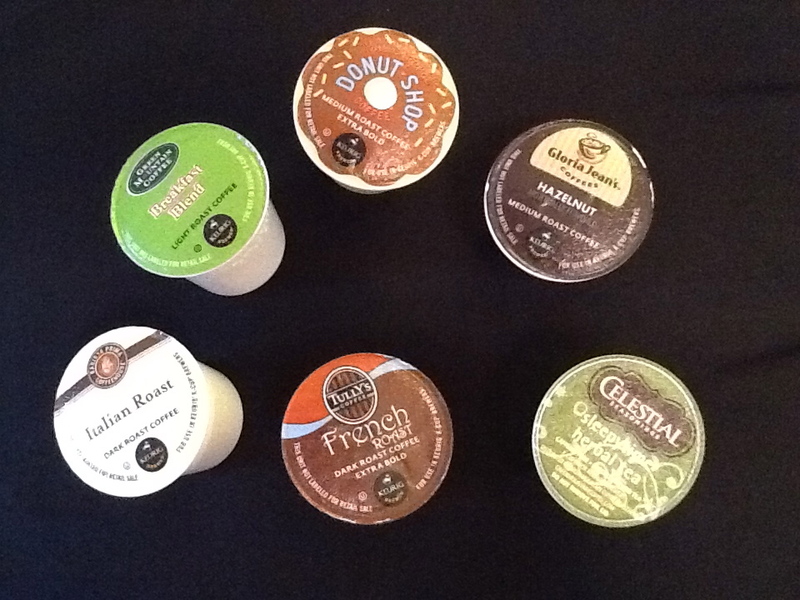 The Keurig coffee makers also sent me a box of assorted Kuerig K-Cup Packs containing many different flavored coffees, and a fantastic “That was Easy” button, which I have wanted to own for, literally, years. So, Christmas in June for Gail. 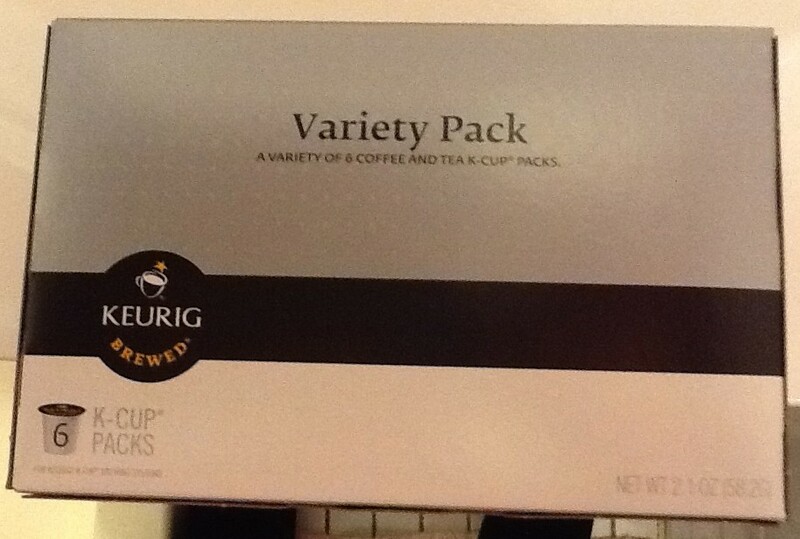 The Keurig also comes with a sample pack of six K-Cups to get you started — especially nice if you should receive this item as a gift! 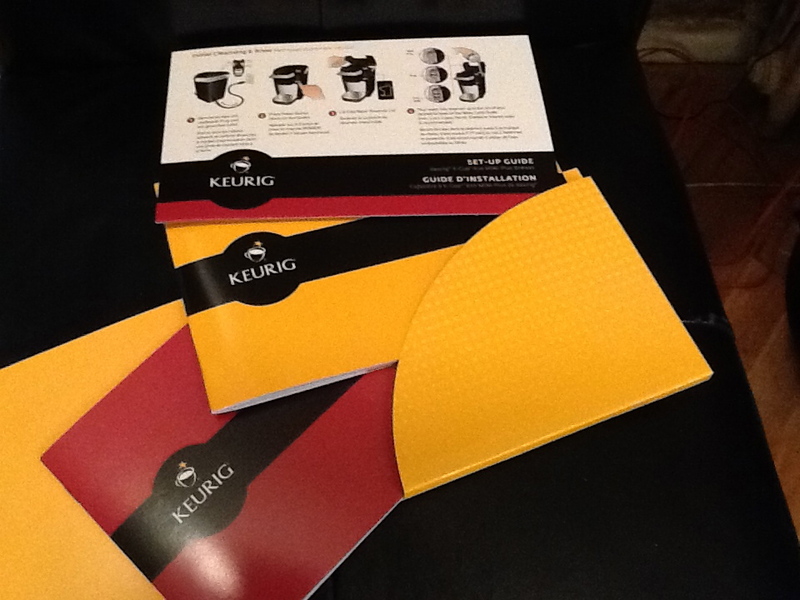 I have previously wanted to own a Keurig, but was always held back by the fact that I have very limited counter space in my kitchen (seriously, you would be surprised) and they usually look pretty big. 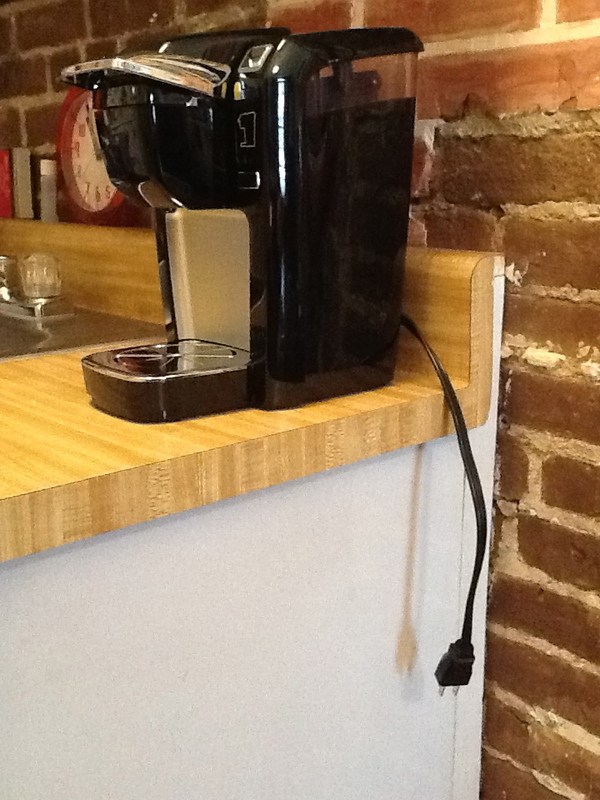 But this K10 Mini Plus is the perfect size for a coffee-loving single gal with a shortage of kitchen counter space. How cute is this little thing? Answer: So cute! However, along the lines of having very little counter space, it was just minutes after removing the Kuerig from its packaging that I discovered a bit of an issue, shall we say, as seen in the photo below. The electrical chord is a mere 12-inches long! What is up with that? 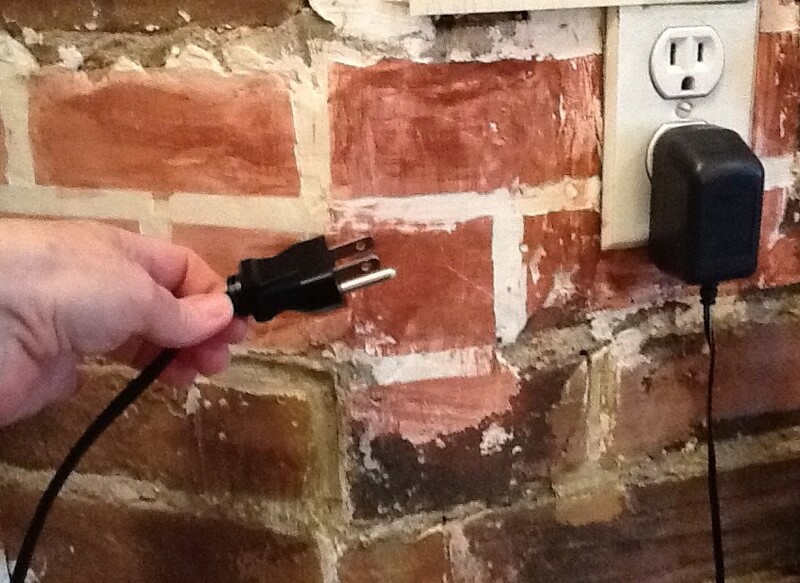 Needless to say, but you can see I am about to, it was about six inches short of reaching the closest electrical outlet. I’m sure that for those of you who are lucky enough to live in sprawling, ranch-style homes with huge kitchens equipped with infinite counter space and electrical outlets along every foot of the wall, the short chord will never come into play. For me, it necessitated a trip to the store to purchase a grounded (three prong) extension chord. In NYC, those will set you back about $10. Forewarned is forearmed. 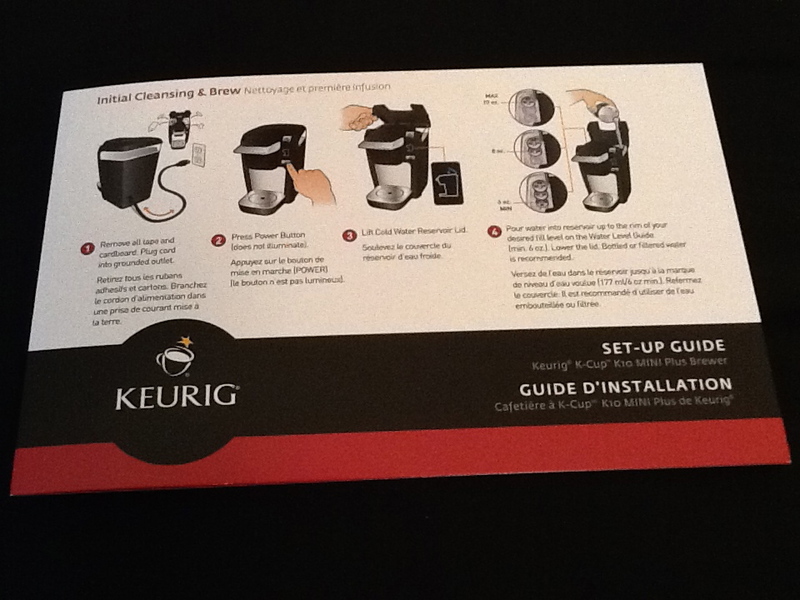 I will also confess that I am intimidated by anything that runs on batteries or an electrical current, but the Kuerig comes with minutely detailed, step-by-step operating and care instructions, so there is probably no question you could think of that is not answered by the included Set Up Guide and owner’s manual. What a relief. Finally it was time to make a cup of coffee! The Mini Plus lets you choose how much water you want to use to brew a cup of coffee (6, 8 or 10 ounces), and I have a pretty tall mug, so I poured 10 ounces of water into the reservoir. You can vary the amount of water, I suppose, based of how strong you like your coffee. My Donut Shop (Medium Roast) coffee was the perfect strength with 10 ounces of water. 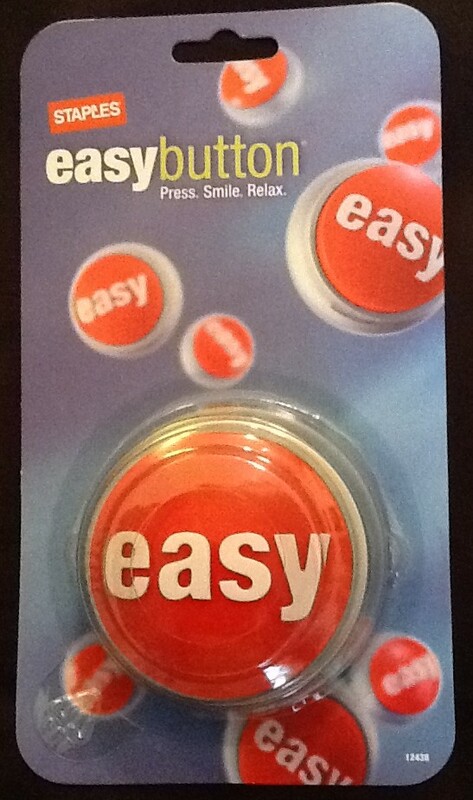 There are extremely clear instructions on how to turn the machine on, what buttons to push, what lights to expect to flash, what to put where and how long to wait for each stage of the process to complete. It takes just 2 minutes for a cup of fresh coffee to brew, so after you go through the process maybe twice, you will be a pro! I should mention that before making any coffee you need to first do an initial “cleansing brew” with just plain water, which will clean out the machine and get it ready for use. 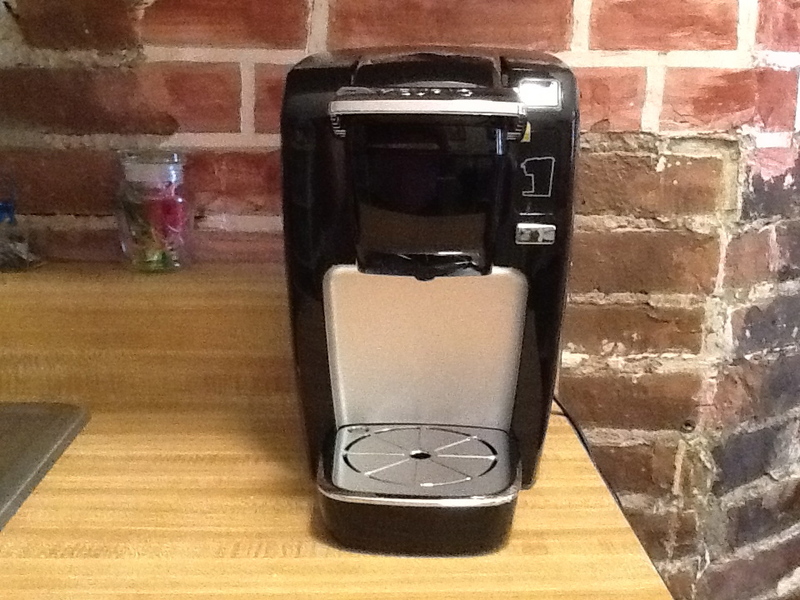 I am really happy with my Keurig K-10 Mini Plus, which makes a great single cup of coffee, leaves virtually no mess and requires almost no clean up as well – such a break from having to wash a fragile coffee pot and filter basket ever time you make coffee. 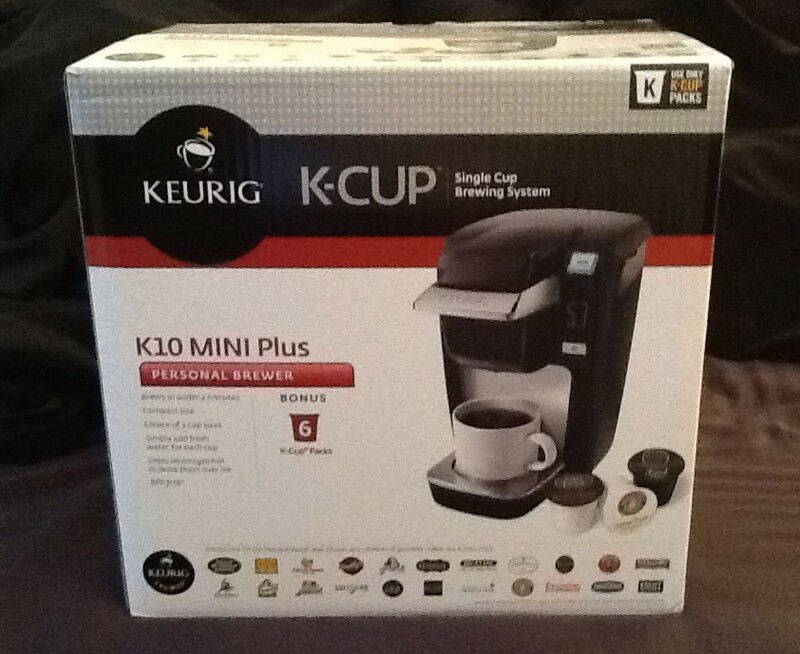 The Keurig C-Cup K10 Mini Plus Coffee Maker retails for $99.00 and can be purchased from Staples at This Link.